Q&A #41 - NavigationService Cannot be used in the Constructor of the page. 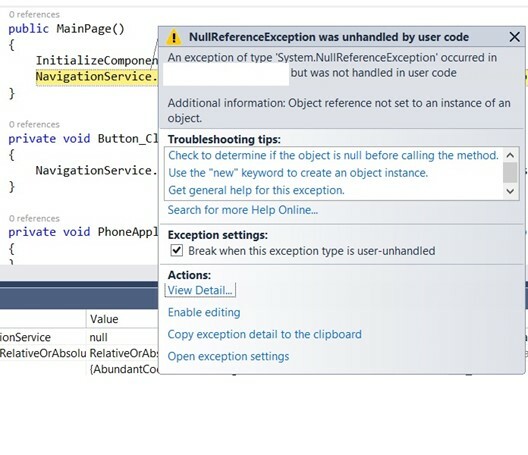 Did you know that NavigationService cannot be used in constructor of the Windows Phone Page (PhoneApplicationPage). When attempting to use the NavigationService within the constructor of the page, you will receive the following error. It is therefore necessary to wait until the Form’s OnNavigatedTo method is called before one uses the NavigationService within the page.